In Africa, it can be a nightmare for teachers and students to find educational resources. Currently, the primary source of content comes from local textbooks; but this is not always enough. When teachers want to go beyond the textbook, it is challenging to find relevant and trustworthy resources on the internet, not to mention on a slow and unreliable internet connection. On top of all this, it is common for the power to go out, cutting them off completely. HITCH solves this problem by allowing teachers and students to advance beyond their current resources, and graduate to using world-class educational videos to improve learning outcomes. We find the best educational videos for each topic by searching the internet for videos made by trusted and pre-approved educational producers. We then carefully select and map these videos to the local curriculum by ranking how relevant, engaging, and educational the video is. With HITCH, teachers can easily find relevant videos because they are organized based on the local curriculum. 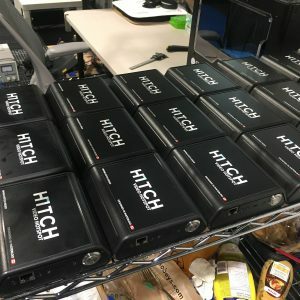 By providing schools with battery-powered hardware that stores the videos locally, our platform is always up and running for teachers and students, regardless of the local internet or power. As a startup looking to validate our idea, one of our goals for the Video Hotspot was to keep the design time short. We used off-the-shelf components rather than designing everything from the ground up. Onion’s prototyping boards made this a quick and easy process. For the hardware, we used an Onion Omega2+ as the brain of the Video Hotspot. Keeping in mind the fact that many parts of Africa were prone to losing power multiple times in a day, we used Onion’s Power Dock v2 to add a lithium-ion battery, providing the battery backup needed for those situations. 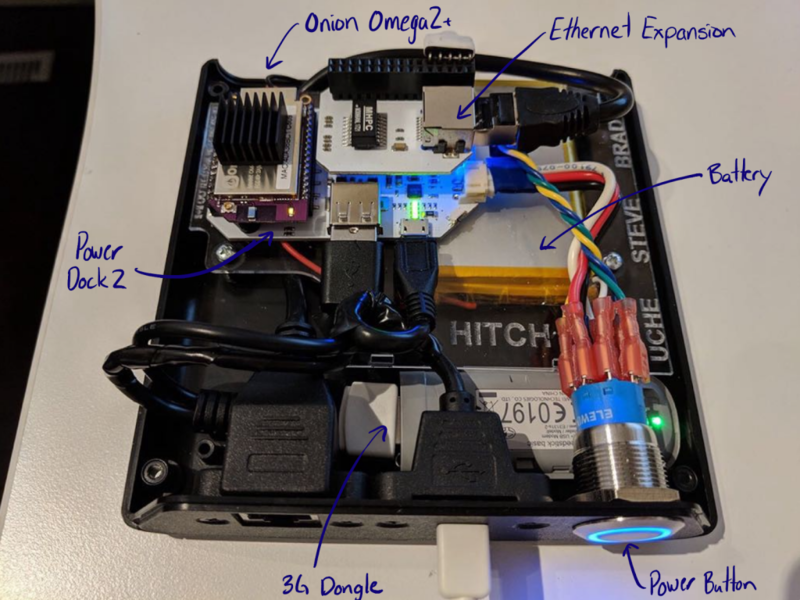 For schools that want the Hotspot to live on their local intranet (instead of connecting over the Omega’s built-in WiFi), we used the Onion’s Ethernet Expansion. 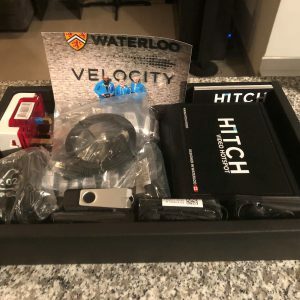 Lastly, with our development team based in Waterloo, Canada, we needed a way to connect to the device remotely, in order to to update the video content, pull analytics, and update the software on the device. To do this, we used a 3G dongle, and although this 3G connection is slow and unreliable, it doesn’t affect the user, since any video the user sees has already been downloaded to the device. When we want to push any content or software updates, we can do so overnight. 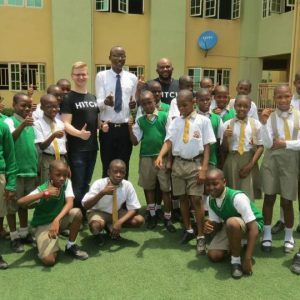 Our launch market is Nigeria, the economic hub of Africa, home to 50,000 private schools and one of our co-founders! 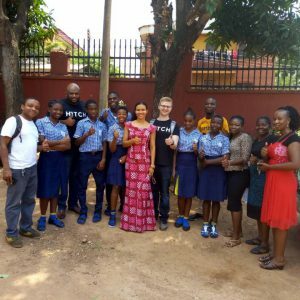 In March 2018, we stayed in Nigeria for nearly 2 months and launched to our first 10 private schools. 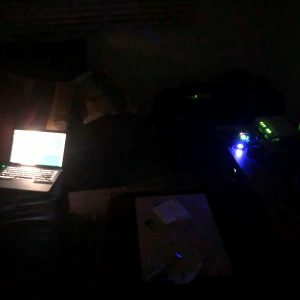 This is a picture of the HITCH team attempting to troubleshoot and resolder wires in the dark while the power was out. 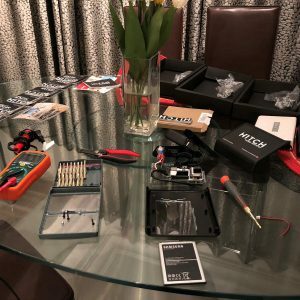 It was an amazing feeling to see teachers and students get so excited while using our product, especially after months of hard work designing, building, and testing. Given the great product reception and willingness of staff to give referrals, we are confident that we can sell 100 more units by September and many more beyond that.